Swiss watch manufacturer Arnold & Son has announced TB Tiger Special Edition, a new timepiece that it will introduce into its Instrument Collection. 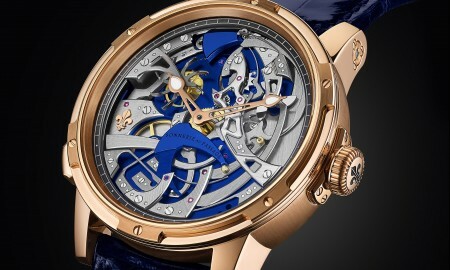 The limited edition piece, which will feature a 44 mm case in 18-carat rose gold, houses a self-winding A&S6103 calibre movement, with 28,800 vibrations/h and 30 jewels. 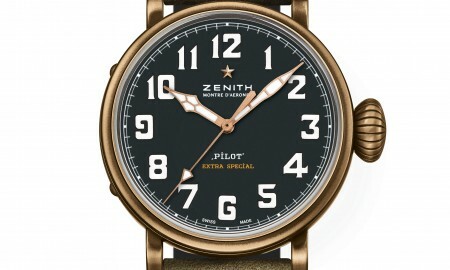 As with other models in the Instrument Collection, the TB Tiger Special Edition keeps the off-centre positioning of the time display at 9 o’clock. It allows for the generous amount of space that has been giving to the engraving and hand-painted depiction of a tiger – a highlight of the piece. 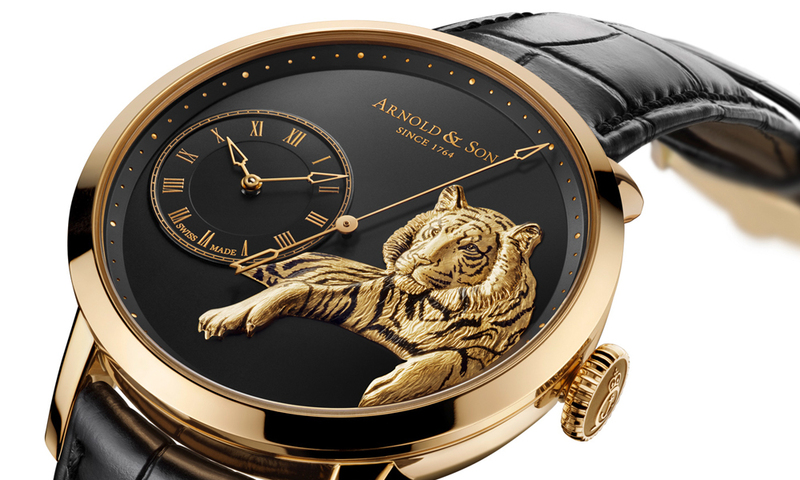 The tiger, from where the timepiece takes its name, was executed by Arnold & Son’s master engraver, and is produced in solid 22-carat rose gold. The movement’s plates and bridges have all been hand-chamfered and decorated. It comprises of a sophisticated double wheel, an oscillating pinion and a pallet mechanism. Functions include hours, minutes and true-beat seconds. 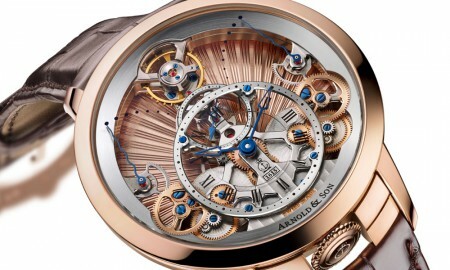 The caseback is see-through, showcasing the movement in its entirety. 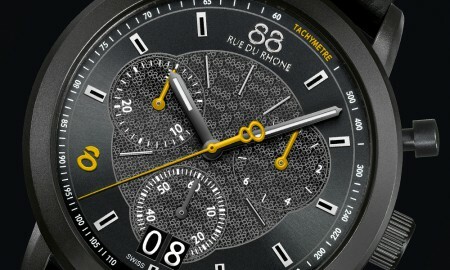 It has a minimum power reserve of 50 hours and its water resistant up to a pressure of 4 bar or 30 meters / 99 feet. 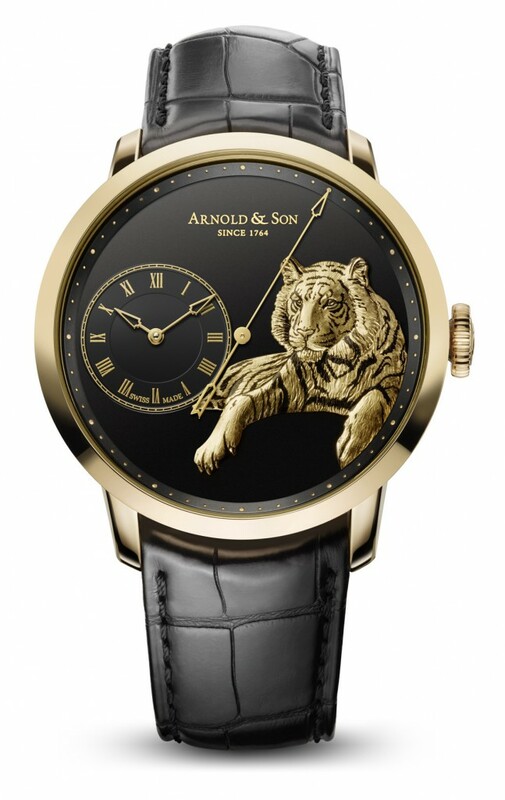 Arnold & Son has confirmed that the TB Tiger Special Edition will be limited to an exclusive run of only 28 pieces.